Waterfall Info: This is the second waterfall from the top on Wilks Creek. It's almost directly below the upper falls. 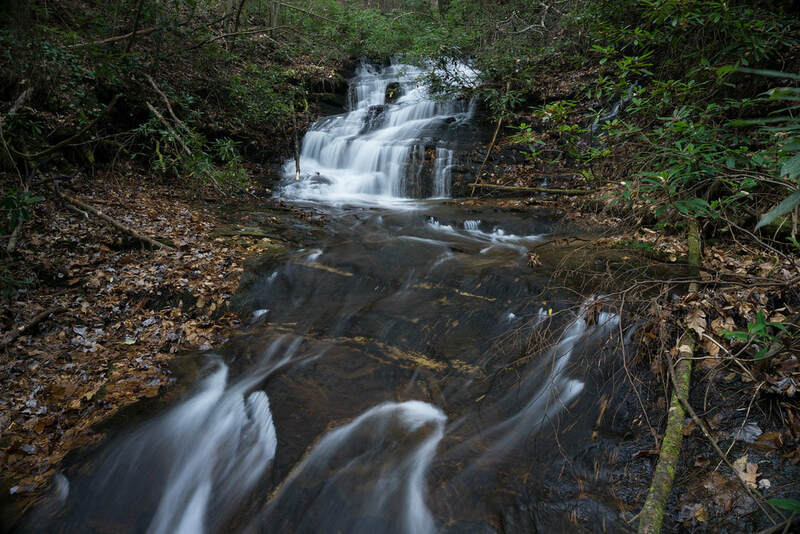 Access Info: This waterfall is nearly roadside along Chattahoochee River Road (FS 44). However, access to the base requires some scrambling. It's best to cross Wilks Creek above the upper falls and scramble down through open woods to the base of the upper falls. From there, you can re-cross the creek and scramble down to the middle falls.